The weekly video blog We Are Austin Tech, live for nearly a year at weareaustintech.com, has launched its second season. Today’s post features an interview profile of Gazzang CEO Larry Warnock, which followed last Tuesday’s conversation with VolunteerSpot CEO Karen Bantuveris. Both videos are currently live on the blog and on the We Are Austin Tech YouTube channel. In their five-minute video profiles, both CEOs discuss the keys to their companies’ success and offer guidance to new entrepreneurs. Don’t miss them! Also live are over 25 video posts featuring the wisdom (and wit) of Austin tech community leaders Bob Metcalfe (Ethernet/Internet pioneer) Pike Powers, Richard Garriott (Portalarium), Bryan Mennell (SubtleData), Andrew Allison (Main Street Hub), Mellie Price (Front Gate Tickets), Sam Decker (ex-Bazaarvoice, Mass Relevance), Kevin Koym (Austin Tech Ranch), and Lloyd Armbrust (OwnLocal.com), among others. 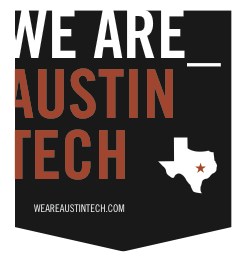 Inspired by We Are NY Tech, We Are Austin Tech provides a way for the region to put more than just a face with a name by providing weekly video profile interviews of leaders in the Austin technology community. The goal is to evangelize the people who empower the Austin tech scene in order to attract more talent and opportunity to the city. WAAT Team Austinpreneur Joshua Baer (founder, Otherinbox and The Capital Factory), Ruben Cantu (CORE Media Enterprises), René Lego (SolarWinds), Austen Trimble (OwnLocal.com), Nicholle Jaramillo (The Capital Factory), and Paul Schomer (Radio Crowdfund). The initial blog was designed and built by Austin-based Thinktiv and weareaustintech.com is hosted by WPEngine.